2 reserved places for disabled people. There are two entrances to the car parks. Open every evening from Monday until Saturday from 7 p.m. till 9 p.m.
Open for Sunday lunch from 12.15 p.m. until 2 p.m. The restaurant and toilets are accessible for wheelchairs. Increased sound levels for people with hearing disabilities at the reception, magnifying glass for people with sight problems. Rooms are available from 2 p.m. and the reception is open until 10 p.m. 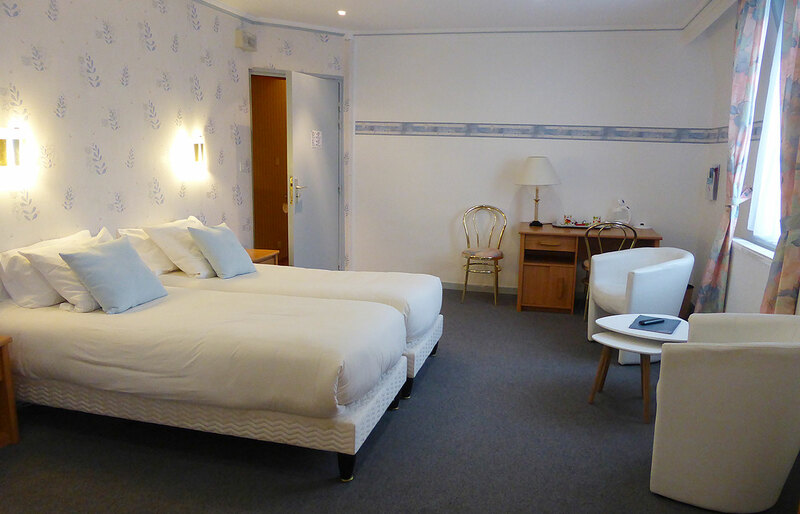 The room Vendée is accessible independently, situated on the ground floor. 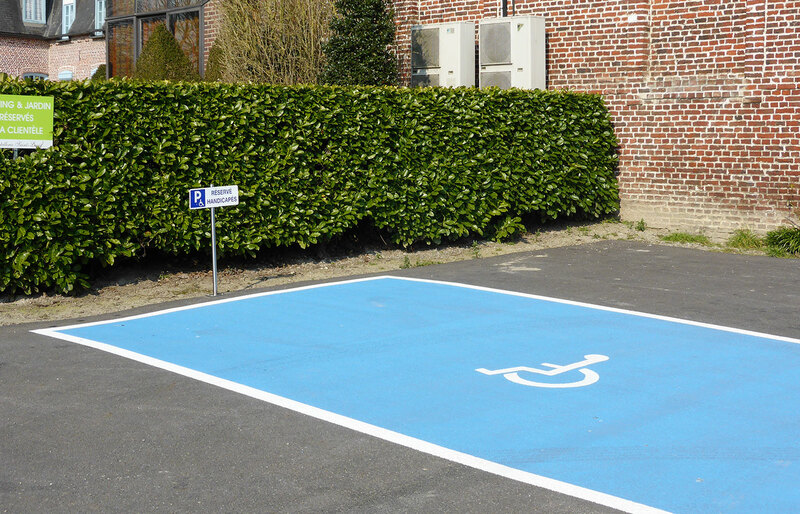 The room Poitou is accessible by lift, on the first floor and is suitable for wheelchair access. Although the corridor wider is less than the legally required 2 meters.